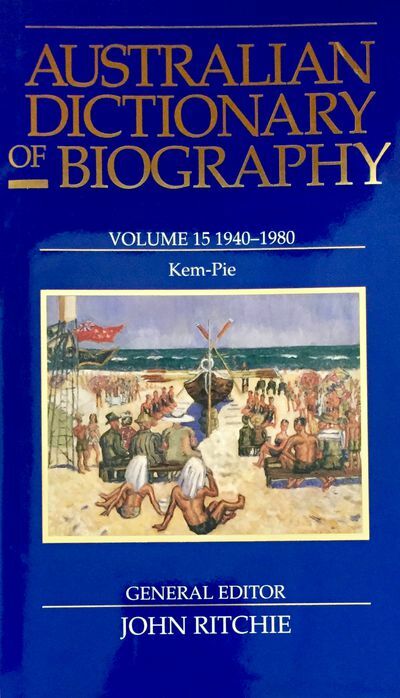 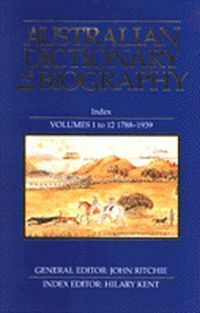 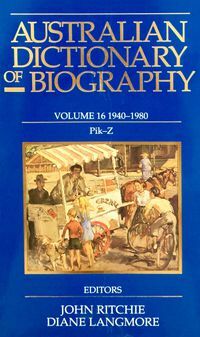 Since 1962 the Australian Dictionary of Biography has been prepared by its staff in the Research School of Social Sciences at the Australian National University. 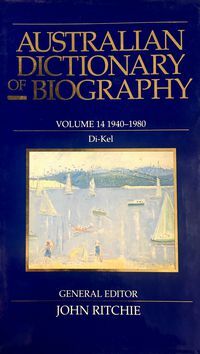 It provides concise, informative and fascinating descriptions of prominent men and women of this country who contributed their vision and energies to a growing nation. 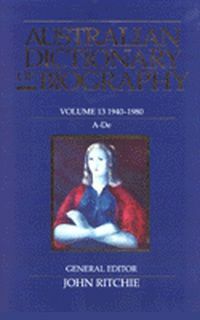 Each entry is prepared by a leading scholar. The subjects come from all walks of life from premiers, generals and bishops, through artists, actors and authors, farmers, engineers and schoolteachers, to prostitutes, thieves and murderers;providing a cross-section of Australian society.